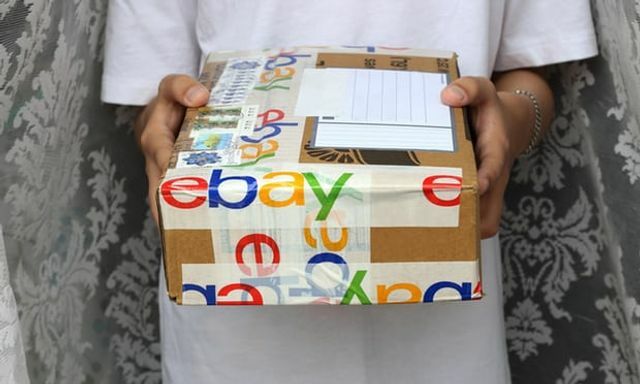 There is a realistic chance of sellers being left out of pocket as a result of eBay buyers claiming their money back through Paypal but then not returning the unwanted items to the sellers. The first step is to remind the buyer would be that they have entered into a contractual agreement with you via the eBay platform. As part of the agreement they accepted certain terms and conditions, this commonly includes the obligation to pay for items or to return it. Failure to return the items or to ensure adequate payment would likely amount to a breach of contract. The initial action to take would be to utilisie the ebay resolution system in place to resolve the issue through the dispute resolution service offered through the eBay/Paypal system. If you have any contractual terms agreed on the issue of disputes, make sure you follow those and bring items those to the attention of the relevant customer service. If you get in contact with customer service you should fully explain the issue and provide evidence if possible. You can use this as an option to challenge the decision of paypal/eBay to issue the refund to the buyer. You should consider contacting eBay/paypal and using this avenue to try to resolve the dispute. If after exhausting the resolution system there is no positive outcome you can then taking further legal action to obtain an adequate remedy. To initiate such a process you’ll need to send the buyer a letter before action. The exact nature of the letter/process will depend on the relationship between the parties. If you are a business and want to take action against a consumer (an individual including a sole trader), then you must follow the procedure as set out here. If it is a business-to-business debt or if you are not a trader/business for the purpose of the transaction, then you can use a less formal letter before action. Your letter must make the buyer aware of the complaint and give them a reasonable opportunity to resolve it. The letter should also make it clear that if they do not respond, preferably within 14 days, then you may escalate the matter to court, which will have an implication from a cost and time point of view. It is essential that you also put the buyer on notice that if the matter does proceed to court action, and you are successful with your claim, that you will also ask the court to make an order requiring them to repay you the costs. Costs would depend on the value of your claim. If your claim is valued at less than £10k, you are unlikely to recover more than the costs of issuing your claim and/or loss of earnings of up to £90 per day for having to attend court and travel expenses. If the claim is valued at more than £10k you could potentially recover costs which the court consider have been reasonably incurred. If you cannot resolve the issue you should consider issuing a debt claim against the buyer at your local county court or using the money claim online process where the claim is less than £10k. There is a difference in the cost - if you are issuing the claim directly in court it’s usually more expensive than using the money claim online procedure. In these circumstances once a claim is issued the onus would be on the buyer to provide information and evidence in their defence, for example they may argue that they never received the item. The purpose of issuing the claim would be in an attempt to obtain an order requiring the customer to reimburse you for the losses that have been incurred. You should be aware that going to court, even if it is the small claims track, does come with some element of risk. Issuing a claim does not guarantee that you’ll get the money back, the reason being that your claim may fail, the other party may disappear, they may not have any money to satisfy a judgement or quite likely, the buyer may have been a fraudster. This is a massive problem and we have received several other similar complaints in recent months. It seems that fraudsters have realised that there are easy pickings to be had by buying expensive items on eBay and then claiming they didn’t arrive. In such cases PayPal’s “seller protection” invariably turns out not to be worth a thing, as it almost always sides with the buyer. This is not new and Consumer Champions has warned against it previously.